The Chrome Wall Clock is the most popular choice for Schools and Offices where they are looking for a more stylish option to the standard wall clock. 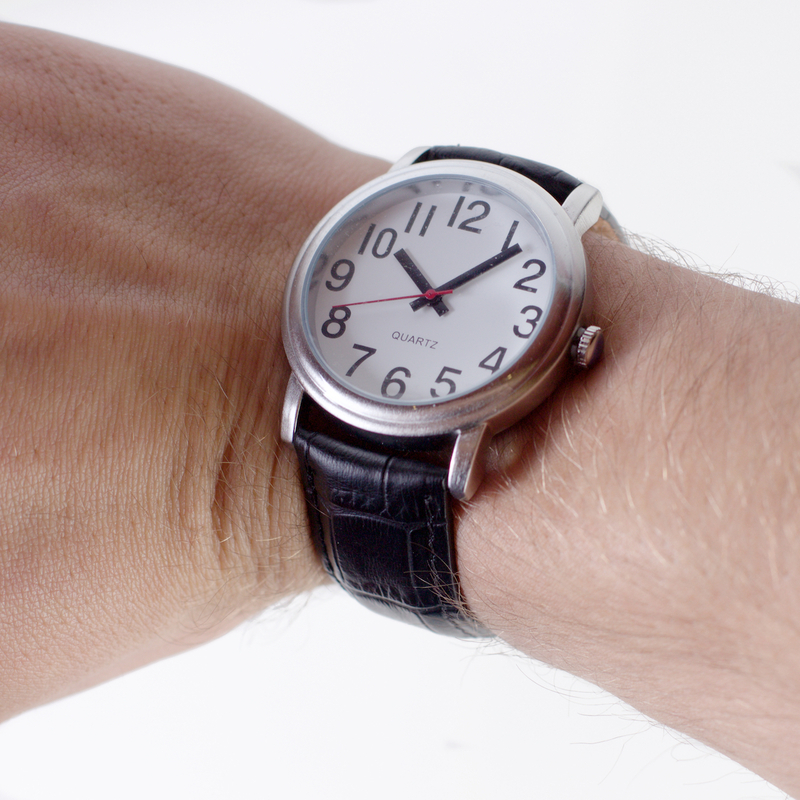 But the styling hasn’t compromised the robust hard wearing design found in all our clocks. 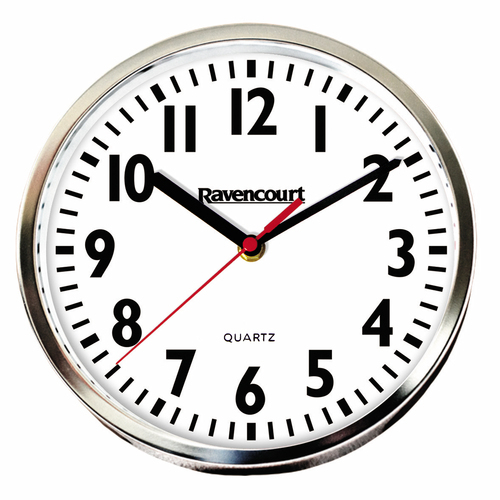 The specially designed Ravencourt Bold Dial and Hands make this clock as easy to see in almost all spaces. With the highest quality Quartz movement this clock will just keep ticking, giving a super reliable super quiet stylish edition to any room. Batteries in, set the time and away you go. Volume discounts available contact us for prices.